When cooked to perfection, this filet recipe has a thick, crispy crust of toasted sesame seeds and a tender, mild tasting center of fresh wild-caught Ahi Tuna. The combination of textures and flavors will have you so enthralled in your dish you won't even wonder what's for dessert. Serve as main dish with a side of salad greens for a beautiful lunch. In a bowl, add your garlic, olive oil, salt, pepper and red pepper flakes and mix well until the oil incorporates well into the mustard and becomes like a paste. 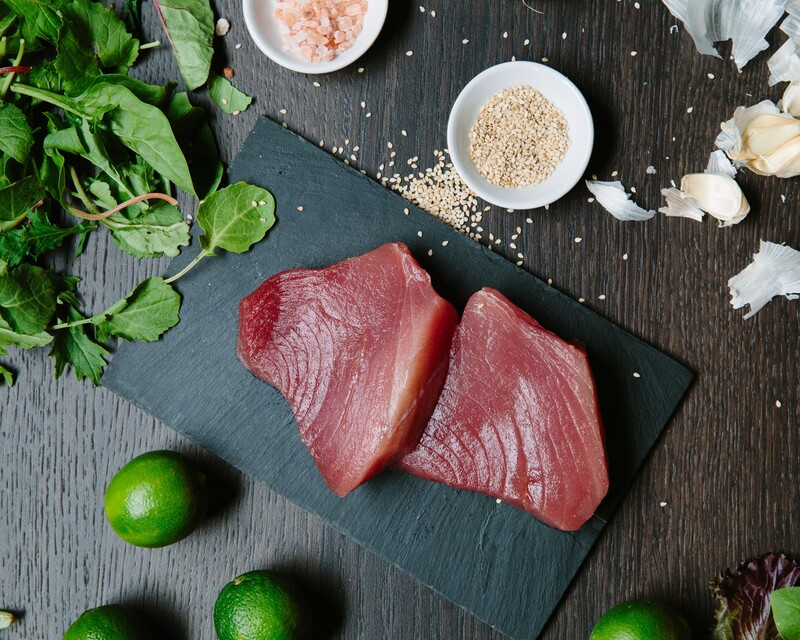 Dry your tuna filets very well and coat with your mustard paste. Rub in completely. 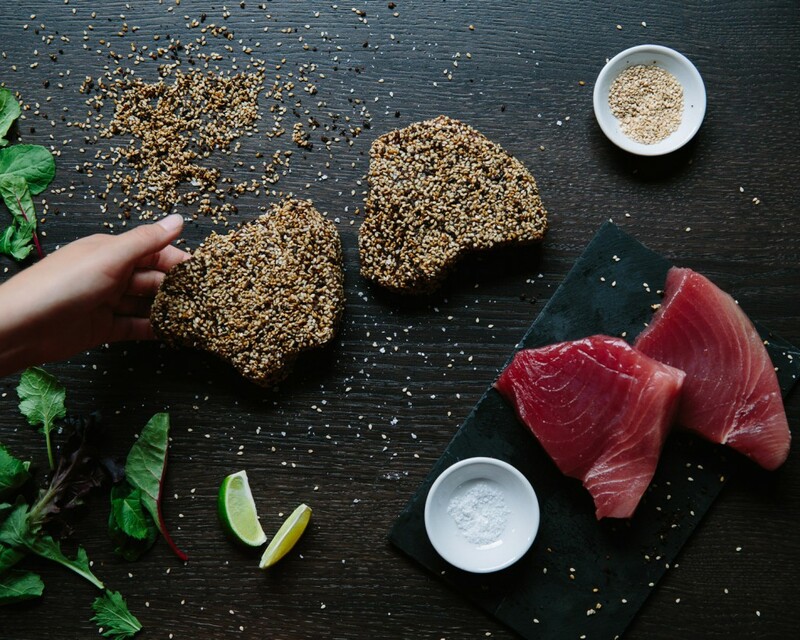 Mix the black and white sesame seeds together in a shallow bowl and dredge your filets completely in the sesame seeds. Heat a frying pan over medium-high heat and add your cooking oil. When the oil is simmering, lay your tuna filets in the pan. Be sure your arms are covered and your face is a safe distance from the pan, as the sesame seeds may begin to pop. Cook for two minutes then flip and sear other side for two minutes. Turn filets on sides and cook sides for a minute each. 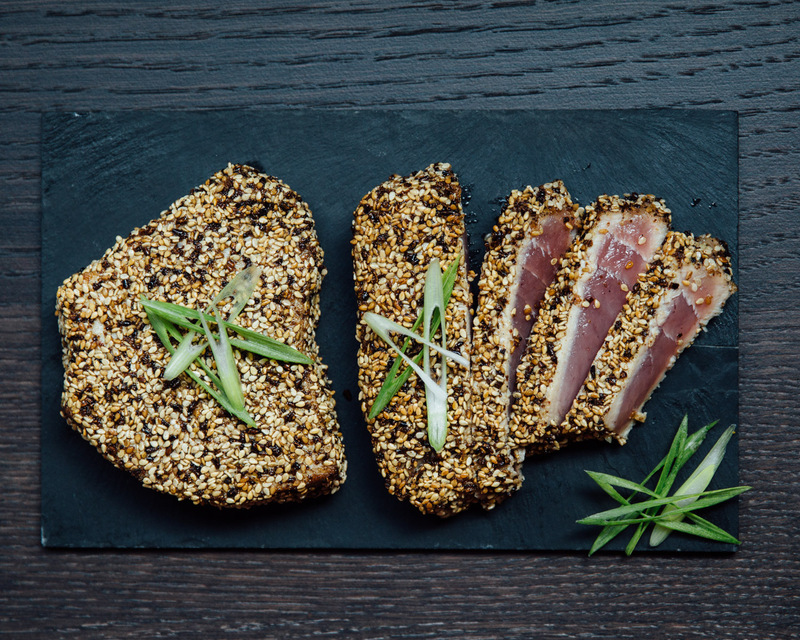 Slice the fish into thin slices and arrange on your plate. Drizzle the lime-ginger vinaigrette over the filets. Like this fresh seafood recipe? To stay current on all our newest recipes, follow us on Twitter and like us on Facebook! Or if you just can't get enough pictures of food, check us out on Instagram for a daily helping.